Equifax Credit Information Services: Our partnership with EQUIFAX Credit Information Services provides Lyon Members with a more comprehensive version of the Lyon PRIDE Report. The Pride Report has been augmented with trade information from EQUIFAX'S vast commercial database. This enhanced report connects users with valuable credit information, including Lyon's industry-specific data and EQUIFAX'S banking (commercial credit cards, loans & lease data) and non-banking trade receivable history (telecommunications & utility data). Only Lyon provides two services in one! 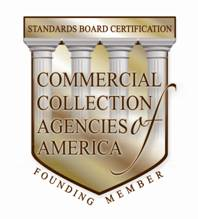 Lyon is a founding member of the Commercial Collection Agencies of America (CCAofA), a professional association comprised of collection agencies and commercial collection attorneys. Lyon is a recipient of the CCAofA prestigious and coveted "Certificate of Compliance." International Home Furnishings Rep Association (IHFRA): Members of IHFRA are entitled to a membership discount on Lyon's Rep On-Line Services. Reps enjoy up to date ratings, mapping of prospects, ability to target specific product groups, their own territory Red Book and a monthly New Business Listing. High Point Market Authority and the International Home Furnishings Center: Our presence at the market highlights our commitment and history in the Home Furnishings industry. 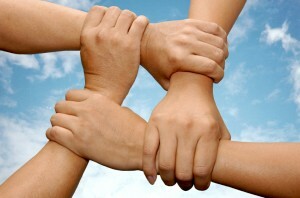 We offer client support at the Market, and assist retailers to check their rating and get registered. Exhibitors @ the IHFC can visit us and receive two complimentary credit reports during the show. Located in the Green Wing @ the registration desk. Come by and visit with us to learn about how Lyon can benefit your company or to get registered. Located on the 2nd floor of Building B.
HFIA, the choice and voice of independent-thinking home furnishings professionals, offers business tools and solutions to help members operate more efficiently and, in return, more profitably. Members in the trade organization enjoy benefits designed specifically for their businesses which help members save money, streamline operations and stay better informed about the industry, which in turn allows them to offer exceptional service to their customers.